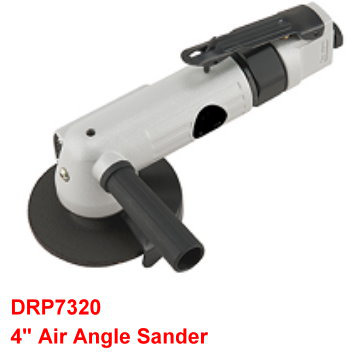 Description： 4" Air Angle Sander is designed with built-in regulator to control speed. 1) Built-in regulator to control speed. 2) Planetary gearing balances load on bearings and gears for greater power.